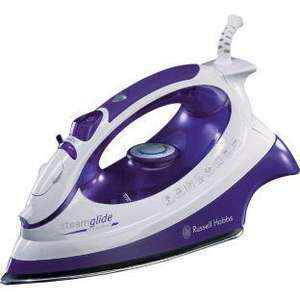 This Russell Hobbs 14995 Steamglide professional steam iron has a 350ml water capacity that reduces the need for refills and also features a ceramic soleplate that evenly distributes steam and heat. This steam iron also features a stem tip that allows you to smooth the most awkward of creases around the buttons and necks of garments. Capacity of water tank 350ml. Ceramic soleplate with button groove. it was never sold at 49.99 looking at the picture is this only 2200 watts?? Please, can you provide the link, will be useful to compare.